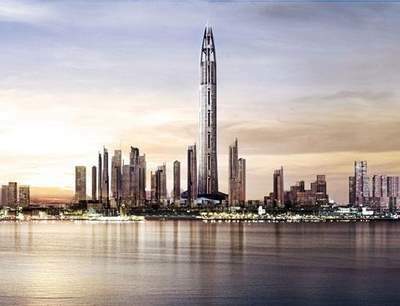 Currently, the world's tallest structure is the soon to be finished the Burj Dubai, which is rumoured to stand at 818 meters. 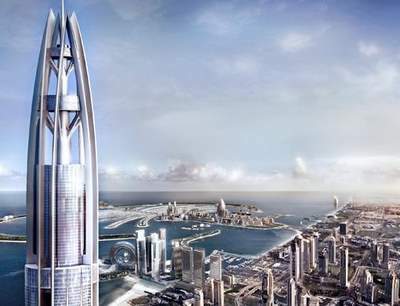 Today, Dubai revealed its successor, the Nakheel Tower, to be "over one kilometre" high and have more than 200 floors. 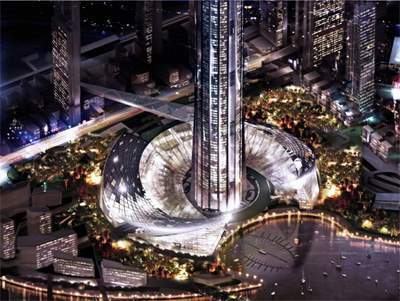 The new superstructure is part of a US$38.12 billion project that includes the world’s first inner city harbour. 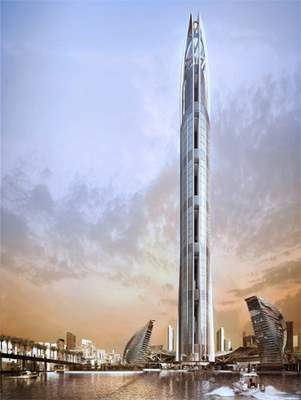 The Nakheel Tower will have more than 150 lifts and house 19,000 apartments with 10,000 parking spaces. The complex will provide homes and offices for 100,000 people. But the building project will be good. There will probably be yet another 10,000 Pakistanis exploited on their 100 USD a month salaries (with a minimum 2 year without weekend not holiday contracts) to help build the thing. They wont complain too much as their salary will be higher than what they could make at home. I guess though they better build another 5 layers on sheikh zayed to be able to cater for all the 15 meter limos needed to take the people to the building. When will the building bubble burst? !